Cheese Tasting Classes Are Here! Our goal at Mullahy's is to make your life more cheesey! In our Tasting Classes we will learn about and sample 5 to 7 hand selected cheeses around a particular theme or region. We will discuss cheese origins and history, suggested pairings, how to present the cheeses, their various flavor profiles and more all while having fun. Classes are 1.5 to 2 hours in length. Pre-registration is necessary. Looking to host a Cheese Tasting Class at your home or office? Work with our resident CCP, Katie Quinn, who can tailor a class to your specific audience. Contact Katie@mullahys.com for more information. 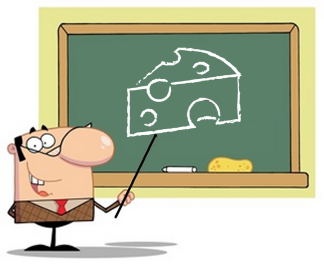 This introductory class will cover the basic cheese categories including: Aged, Soft, Bloomy, Firm and Blue. We will discuss how to develop and build a cheese plate for most occasions and best ways to cut, serve & store these cheeses. The class will be largely tasting based and each participant will receive handouts and cheese log book. This class will focus on local cheesemakers in New England. We will discuss several New England Cheesemakers focusing on their cheeses and sample several including some ACS past winners. We will discuss how terroir and ripening techniques affect cheese flavors and textures as well as what it means to be a Farmstead Cheese. We will also sample local accompaniments. The class will be largely tasting based and each participant will receive handouts and a cheese log book. *Want to have a Tasting Class at your home or office. Contact Katie at Mullahy's for more information.